From the upstairs window of the house at 1427 Scenic Street, an impressive view of the fall color within the nearby Rocky River Valley awaits. But the change taking place on the property itself might be even more remarkable. A concrete driveway was recently poured at the Scenic Park house. 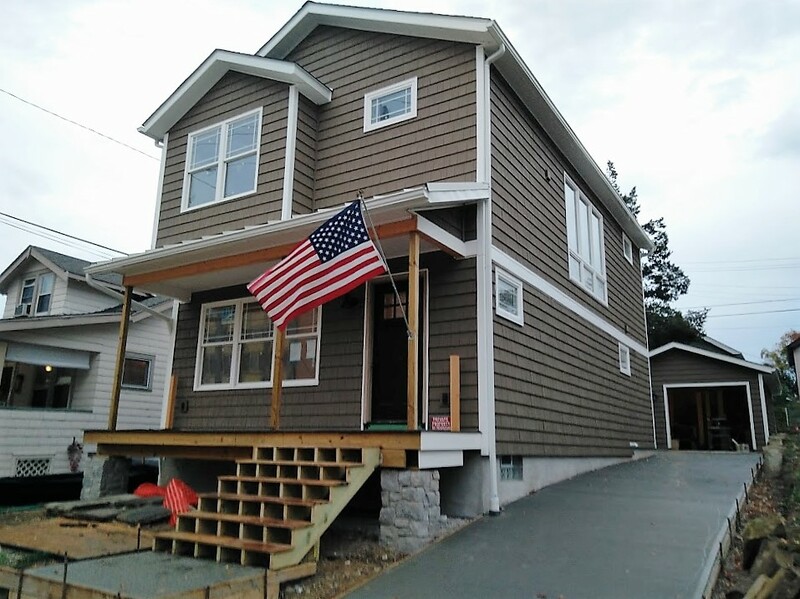 Builder Dana Paul has strove to convert a once-vacant lot into a single-family home within Lakewood’s historic Scenic Park Neighborhood since late April, but his exterior progress has been particularly noticeable of late. A concrete driveway and front sidewalk were poured on Oct. 25 – shortly after other construction accomplishments took place, including installation of exterior lighting and setting of a stone retaining wall at the edge of the driveway. As the weather turns cold and the Scenic Park House continues to take shape, the heat is on – literally. Paul recently finalized the HVAC system, and he expects drywall finishing touches and additional insulating to occur in the coming days. “Sometimes after you place drywall a house feels a little tighter or smaller, but this house has a really nice flow and feel to it,” said Paul, owner of Prairie Stone Group, the company spearheading the project. Although Paul has capitalized on mild fall weather by completing many outdoor tasks, his focus now shifts to the home’s interior. Hardwood flooring gets delivered next week and interior painting – both primer and finisher – is planned for the near future. 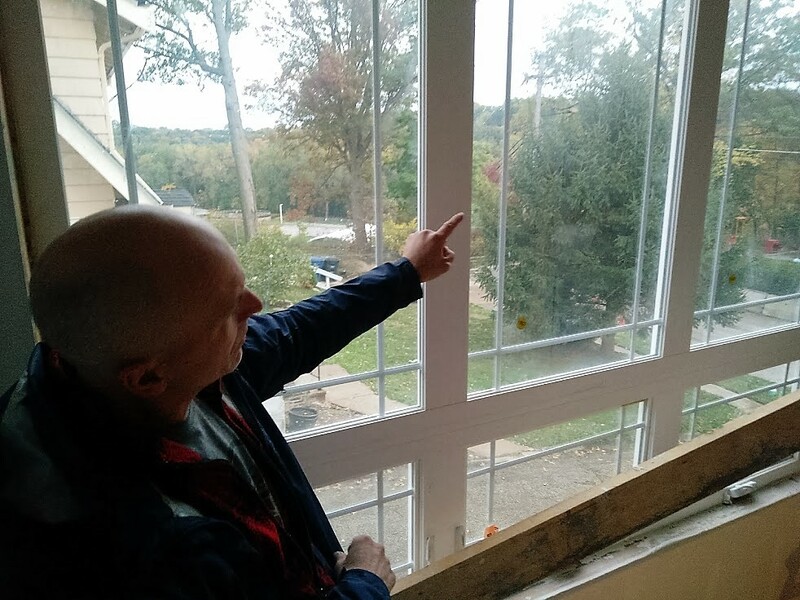 Builder Dana Paul points out the view from the upstairs level. After the hardwood flooring is set, stained and sealed, other interior milestones will soon follow. Kitchen cabinets will be delivered in the coming weeks and installation of doors and doorway tiles are also on the docket.